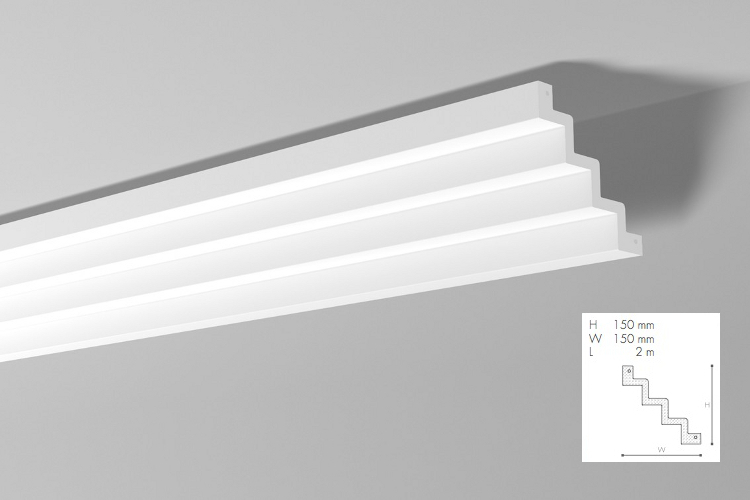 Minimum quantity for "Z51 cornice strip 15 x 15 x 200 cm Arstyl NMC" is 2. Cornice strip Z51 has a very smooth surface with synthetic foil with a layer of white primer paint, it protects ceiling strip against yellowing. After installation, we recommend to paint cornice strips with paints which do not contain solvents, eg with acrylic or dispersion paints. Collection NMC ARSTYL allows for unlimited creativity in decorating the walls, ceilings, doors and furniture.